Three years after the fall of the Berlin Wall, the writer Christa Wolf was granted access to her newly declassified Stasi files. Known for her defiance and outspokenness, Wolf was not especially surprised to discover forty-two volumes of documents produced by the East German secret police. But what was surprising was a thin green folder whose contents told an unfamiliar—and disturbing—story: in the early 1960s, Wolf herself had been an informant for the Communist government. And yet, thirty years on, she had absolutely no recollection of it. Wolf's extraordinary autobiographical final novel is an account of what it was like to reckon with such a shocking discovery. 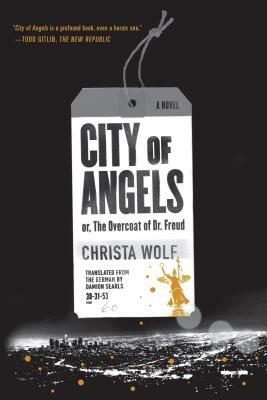 Based on the year she spent in Los Angeles after these explosive revelations, City of Angels is at once a powerful examination of memory and a surprisingly funny and touching exploration of L.A., a city strikingly different from any Wolf had ever visited. Even as she reflects on the burdens of twentieth-century history, Wolf describes the pleasures of driving a Geo Metro down Wilshire Boulevard and watching episodes of Star Trek late at night. Rich with philosophical insights, personal revelations, and vivid descriptions of a diverse city and its citizens, City of Angels is a profoundly humane and disarmingly honest novel—and a powerful conclusion to a remarkable career in letters. Damion Searls is an American writer and translator. He grew up in New York and studied at Harvard University and the University of California, Berkeley. He specializes in translating literary works from Western European languages such as German, Norwegian, French, and Dutch. Among the authors he has translated are Marcel Proust, Rainer Maria Rilke, Robert Walser, Ingeborg Bachmann, Thomas Bernhard, Kurt Schwitters, Peter Handke, Jon Fosse, and Nescio.